Fair Trade felt snowman handcrafted from 100% wool felt by skilled artisans in Nepal. Each snowman has its own little scarf, top hat and bell that jingles. 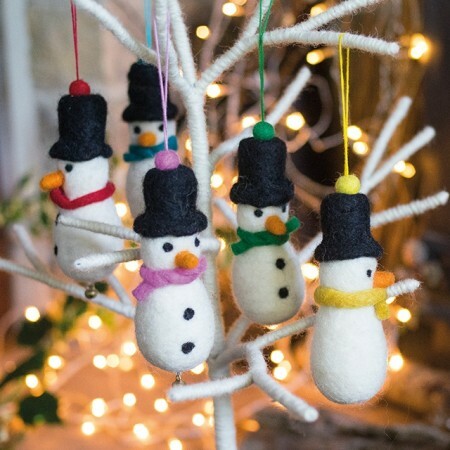 These hanging snowman decorations will make a beautiful addition to your Christmas tree or window display. Please note: Our Namaste felt decorations come in a variety of colours. If you are ordering more than one, we will do our best to vary the colours for you.